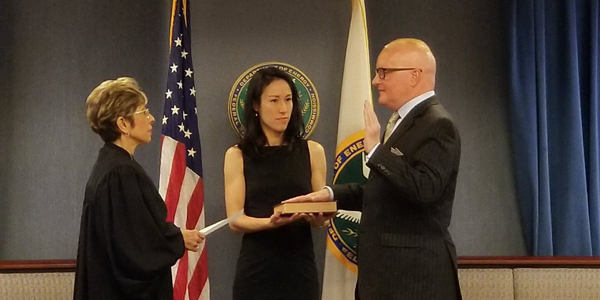 Kevin McIntyre, sworn in as FERC chairman Thursday, will have a month to build support for his response to the Department of Energy’s controversial proposal for coal and nuclear price supports. On Friday, Energy Secretary Rick Perry granted a 30-day delay from the Dec. 11 deadline set in Perry’s Notice of Proposed Rulemaking. Saying they were needed for grid resiliency, Perry called for compensating coal and nuclear plants in regions with competitive capacity markets that maintain 90 days of fuel on site. 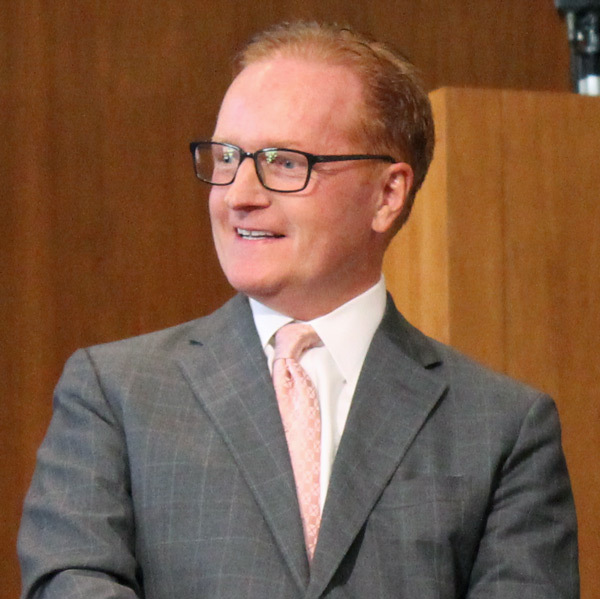 Although McIntyre and Glick have had access to the comments in the docket, McIntyre has not had time to build a consensus around his own response. A Republican, McIntyre joins FERC after 22 years at Jones Day, where he was coleader of the law firm’s global energy practice. His former Jones Day colleague Don McGahn is President Trump’s White House counsel. FERC’s website was briefly overwhelmed by traffic after the agency tweeted out a link to McIntyre’s letter at 6:35 p.m. Thursday. “I’m actually to the point where I’m relieved [the deadline] is Monday because if it was March 11, we’d talk about it until March 11,” she said. Republicans Chatterjee and Powelson have indicated support for Perry’s proposal. On Wednesday, Powelson told the PJM General Session that the commission would craft a “defensible” response to the NOPR that does not upend competitive markets. LaFleur, a Democrat, has been noncommittal in her public statements. (See DOE, Pugliese Press ‘Baseload’ Rescue at NARUC.) She told MISO’s board meeting Thursday that if customers are made to pay for generation attributes, it should be done based on data through a transparent market process. She also said considerations of resilience should include severe weather, cyber threats and transmission. “It probably shouldn’t be confined to the areas with mandatory capacity auctions because their resilience isn’t more important,” she added. She said the NOPR interrupted commission work on the backlog of filings that built up during the six months the commission was without a quorum after the resignation of former Chairman Norman Bay. “It’s as if we had all of our jets lined up for takeoff and someone took the airspace,” she said. Chatterjee, speaking to a meeting of ISO-NE’s Consumer Liaison Group in Boston on Thursday, reiterated his call for providing “interim” relief to at-risk generators while FERC considers the NOPR. (See Chatterjee: ‘We’ve Moved Past’ DOE NOPR.) Chatterjee also sought to calm those who fear the new commission, now dominated 3-2 by Republicans, will be more partisan and less independent than in the past. Some of those issuing statements welcoming McIntyre also gave advice on how he should rule on the NOPR and other issues. McIntyre replaces Chatterjee, a former aide to Senate Majority Leader Mitch McConnell (R-Ky.), whose nearly four months as interim chair have been marked by his advocacy for the coal industry and sparring on social media with actor James Cromwell. 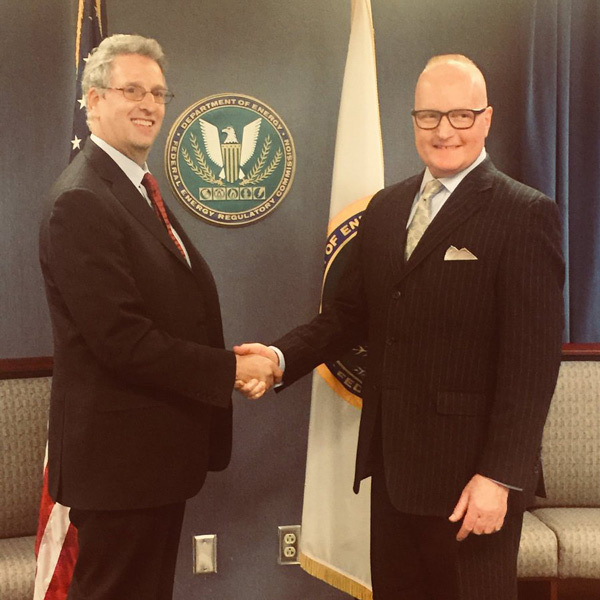 It is the first time FERC has had a full complement of five members since October 2015, when Republican Philip Moeller left the commission. The panel faces decisions on ways to harmonize RTO markets with state subsidies for nuclear plants, rulemakings on energy efficiency and distributed energy resources, and pipeline licensing. During his two decades at Jones Day, McIntyre represented clients in administrative and appellate litigation, compliance and enforcement matters, and corporate transactions. According to his Jones Day biography, McIntyre’s clients have included American Electric Power (negotiations to settle claims in connection with the California energy crisis); SCANA (settlement of Calpine bankruptcy claims); South Carolina Electric & Gas (FERC-jurisdictional rates for electric transmission service); Public Service Company of North Carolina (litigation before FERC concerning the Atlantic Coast Pipeline); and E.ON AG ($1.9 billion acquisition of the North American operations of Irish wind farm operator Airtricity). McIntyre has been a regular contributor to Republican candidates. In the 2016 presidential primaries, he initially backed both Wisconsin Gov. Scott Walker and Sen. Marco Rubio (R-Fla.), giving each $1,000 in July 2015. He gave Rubio another $1,700 in February 2016. He also has contributed to the Republican National Committee, Sens. Tom Cotton (R-Ark. ), Pat Toomey (R-Pa.) and Rob Portman (R-Ohio), and Republican presidential nominees Mitt Romney and John McCain. McIntyre is a graduate of San Diego State University (A.B., political science) and Georgetown Law. His wife, Jennifer Brosnahan McIntyre, a former deputy general counsel for the U.S. Department of Transportation and associate counsel to President George W. Bush, became chief counsel of Boeing’s Washington Operations in 2010. Married in 2008, the couple have three children. Cook reported from Carmel, Ind. Kuser reported from Boston.